R12 SP2 is the latest major release coming from TransMagic. Service Pack 2 gives you the power to get more done, faster; many of these enhancements began as feature requests from our customers all over the world. In the image at right, we’ve tied some of the new features to applicable job descriptions; for example, network adminstrators will like the flexibility the new Flexera licensing system gives them to keep their users running uninterrupted. Almost everyone will appreciate the updated CAD versions, which can extend what your CAD system can normally read and write, and give you access to new customers. The new Flexera licensing system is much more flexible and easy to use than our legacy system, meaning less down-time for users and better management tools for network administrators. 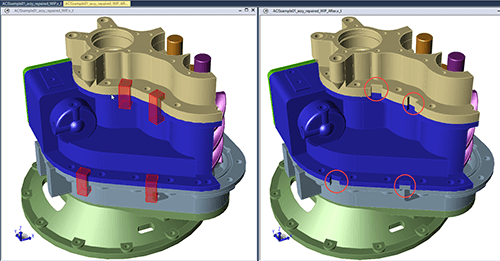 TransMagic R12 SP2 includes two completely new CAD formats – CATIA’s XCGM modeling kernel format, and VDA-FS. 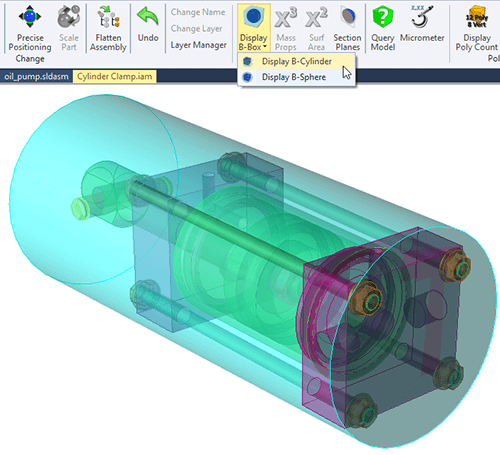 There are also several new CAD application version releases, including Parasolid v31, SOLIDWORKS 2019, DWG 2019, DXF 2018, CATIA 2018, MicroStation V8, Creo 5, Solid Edge ST10 and NGRAIN 6.0. These updated formats enable you to better communicate with 3D data in native form and to serve your customers without delays due to incompatible file formats. Available in all applicable TransMagic desktop products. TransMagic R12 SP2 has a new Undo feature, allowing you to more easily retrace your steps when you encounter problems or decide to use a different approach. Available in all TransMagic desktop products. TransMagic has a new feature called Assembly Cuts that can access assembly level operations, stored in a CAD file. TransMagic reads in the assembly file, along with the cutting shape geometry, and then, using Boolean operations applies the assembly level operation to the geometry, cutting through multiple parts. To illustrate this functionality, here’s an assembly opened with cutting geometry visible; if we edit Creo Read settings to Apply Assembly Level Operations After Read, and choose Apply Operations with TransMagic, the next time we open the file, the cuts are automatically made. This feature is now available on CREO files and will also be implemented for other CAD file formats. Assembly cuts are commonly used for mold designs and weldments. TransMagic now records the CAD file type and version of your CAD files as a User Defined Attribute in the Assembly Browser. 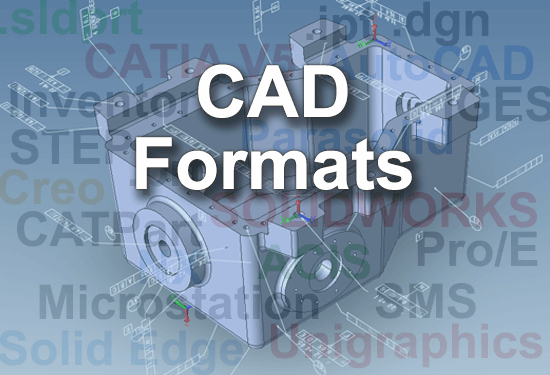 Knowing the file format type and version can be useful when exchanging CAD files with your customers or planning downstream CAD applications. 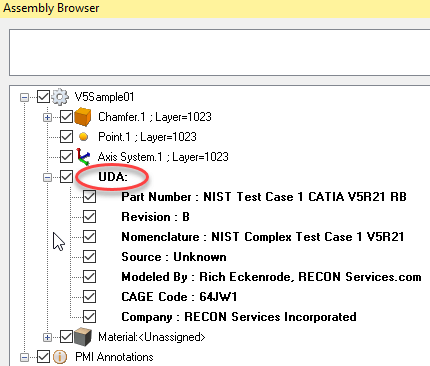 At right, you can see part number, revision, modeled by and company are listed in the User Defined Attributes (UDA). This information can make tracking down problems and communications with internal and external customers much easier. When you are dealing with assemblies that have multiple parts that are spread across your network, instead of getting a partial assembly, you can now designate search directories in Settings, optimizing file management for CAD administrators and end users. If the file is not where it should be, you’ll still be warned by TransMagic’s ‘Show Missing Part of Assembly’ notification box, but since the path is now in the search directory, TransMagic can find all the parts. TransMagic now detects non-manifold conditions and highlights the non-manifold edges or vertices. Note the single body in the assembly browser; once a non-manifold condition is found, TransMagic can resolve the issue with a button click; now we have three solid bodies where there were one. 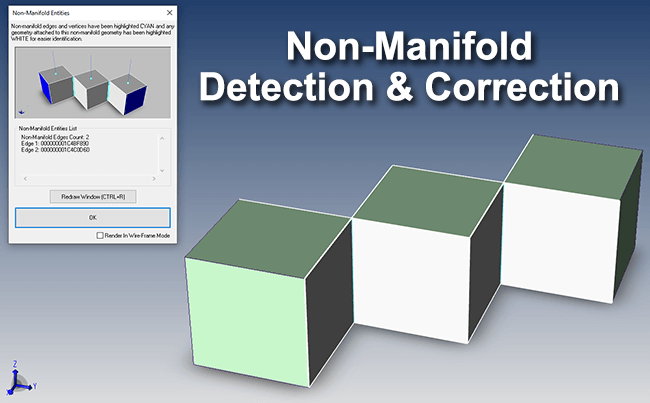 Because non-manifold geometry can hinder normal CAD workflows, detection and resolution provide clear advantages. Available in the MagicHeal Add-on. TransMagic R12 SP2 has new tools, to edit or add materials. 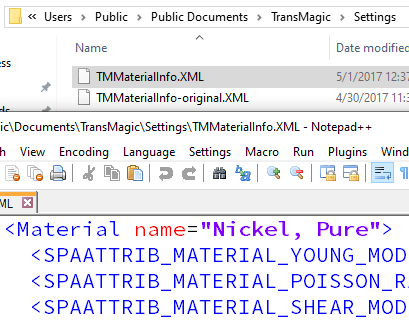 The new material library can be edited by adding to or removing materials from TMMaterialInfo.xml file, which is located in the C:\Users\Public\Public Documents\TransMagic\Settings folder. Edit the XML file with any plain-text editor such as Notepad or Notepad++. New materials can then be selected for each part using the ‘Material’ node in the Assembly Browser. The Bounding Box feature, now includes box, sphere and cylinder shapes. The new sphere and cylinder shapes can facilitate material stock size determination for milling and turning machine operations. Assembly hierarchy & geometry refresh have been given a performance boost that helps you get your jobs done faster, as well as a new progress meter displays in a circular 0-360 style. SP2 has a graphics engine, meaning you’ll get better performance. Some users may need to change their graphics settings. Go to TransMagic Settings (the small gear in the upper left of the screen), click on Application > Performance > Rendering Options > Driver and select DX11 or DX9. Graphics cards built in the last few years will prefer DX11, and older cards will prefer DX9. We have also had success on some devices using OpenGL 2. MagicBatch R12 SP2 now recovers automatically from file errors that terminate an individual file translation. Even this file that has been altered to break the header will not halt the process; MagicBatch will log the error and move on to the next file in the queue. 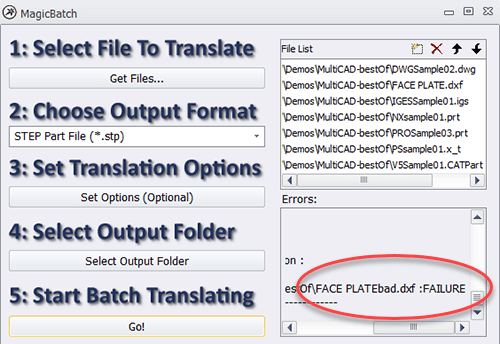 This means that when you batch process multiple CAD translations unattended, the batch process will not be derailed by one bad file, allowing you to process thousands of files at one time. Available in the MagicBatch Add-on. MagicCheck validation and revision algorithms have been enhanced to use multiple processor cores on your computer. This can mean up to a 40% performance increase in the file comparison process. Available in the MagicCheck Add-on. If you aren’t already a TransMagic customer, take it for a spin with our no cost 7-day eval!